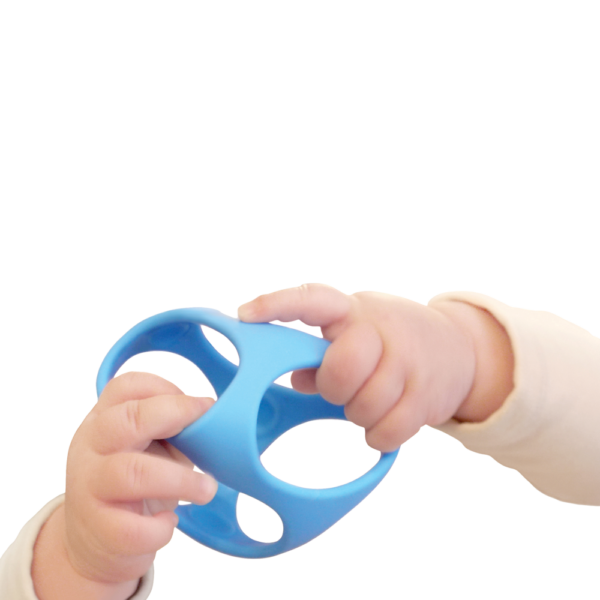 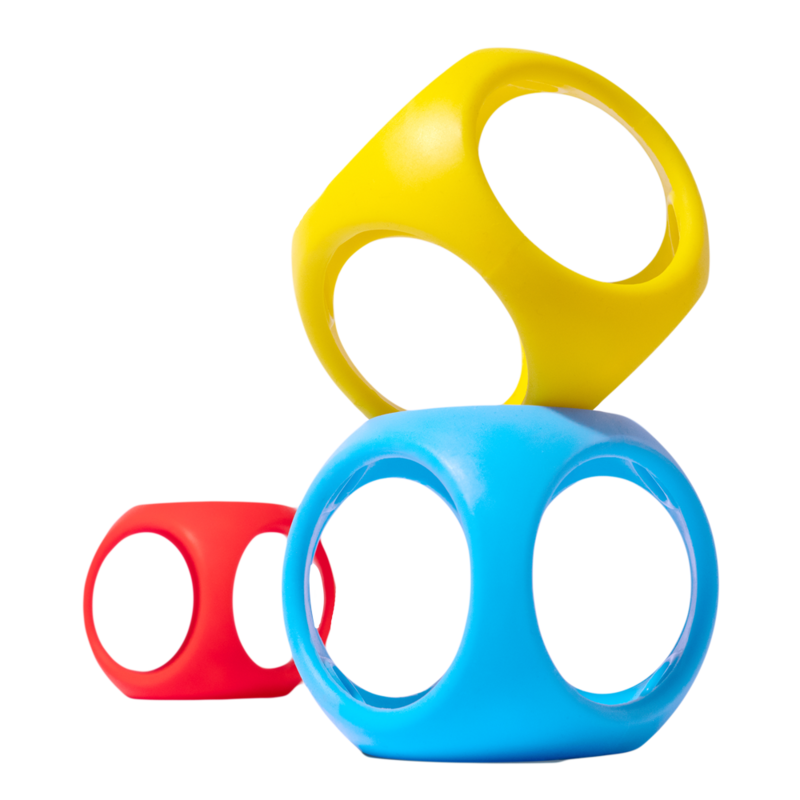 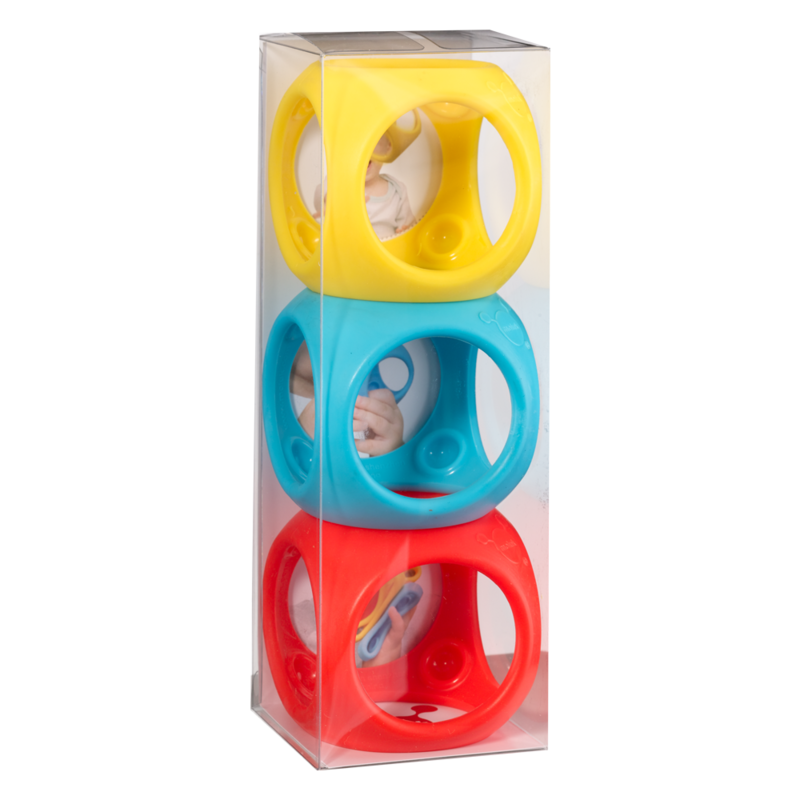 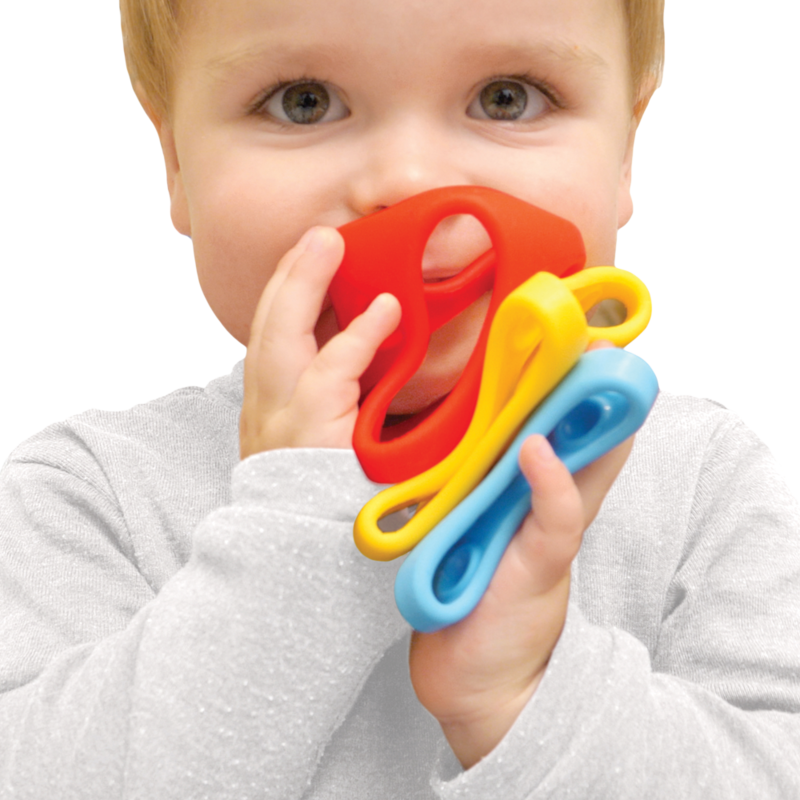 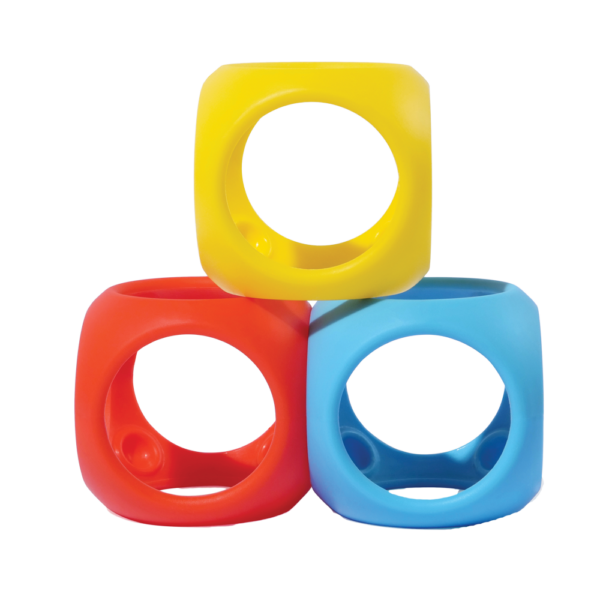 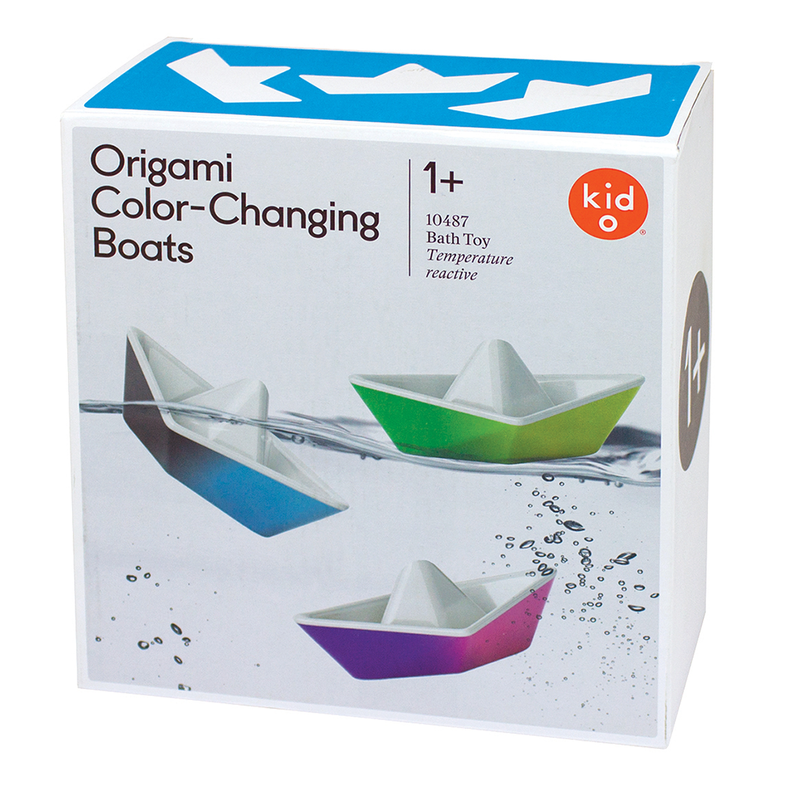 Elastic, stackable, rollable, squeezable, easy-to-grip sensory toys for babies and children of all ages! 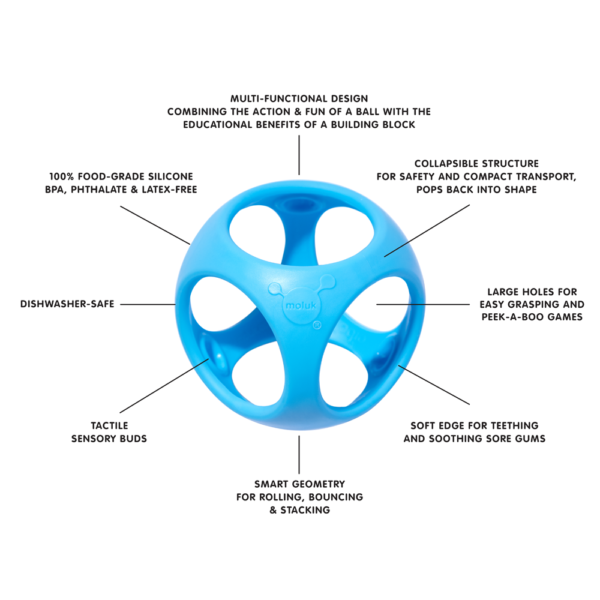 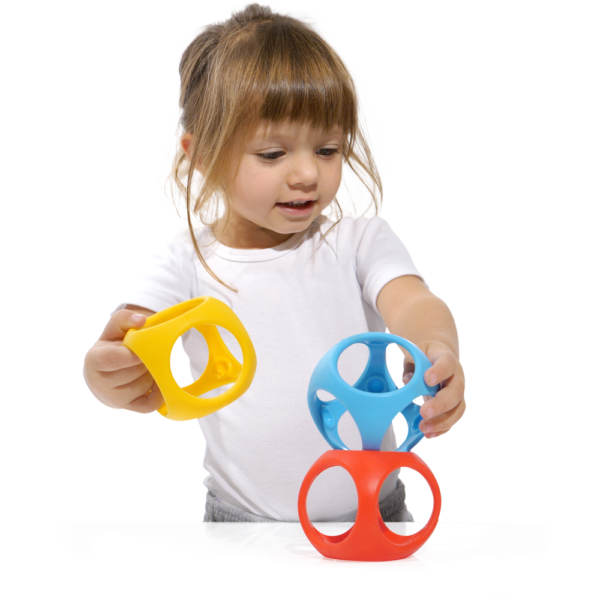 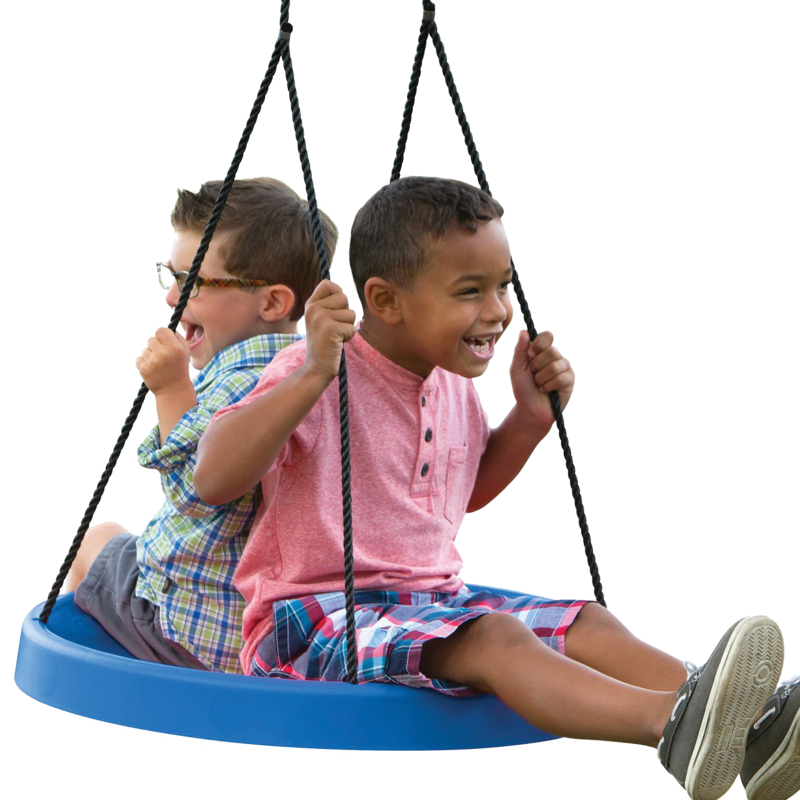 Oibo merges a sphere with a 3” cube, combining the action and fun of a ball with the educational benefits of a building block. 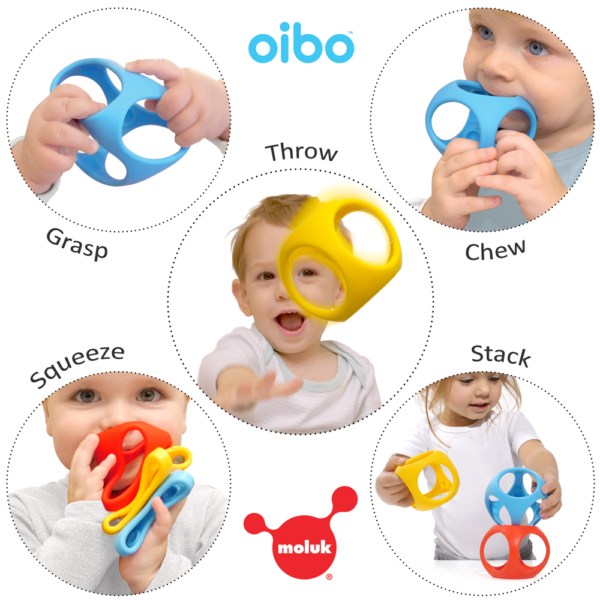 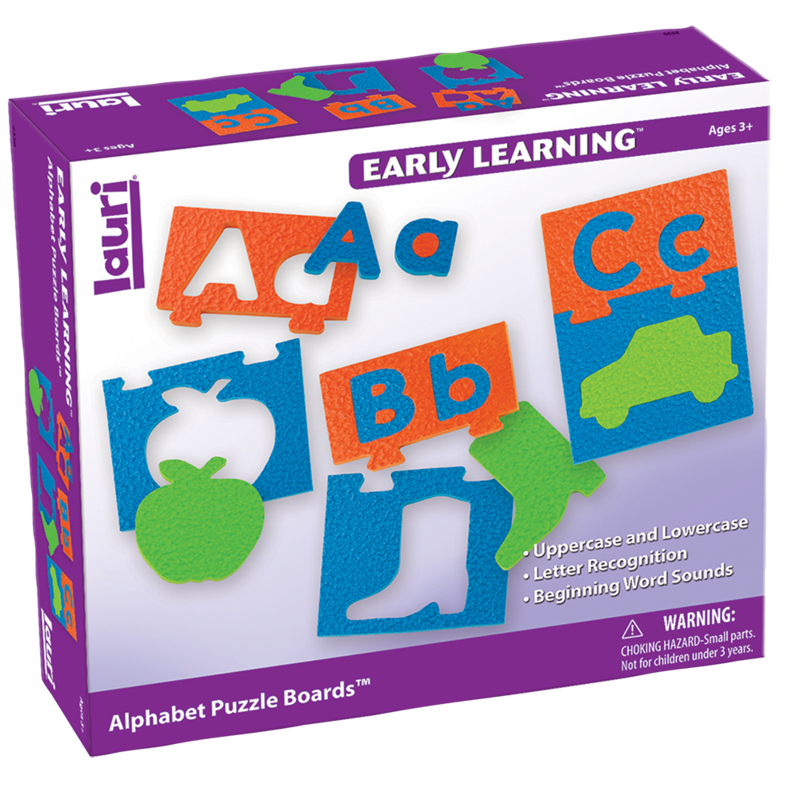 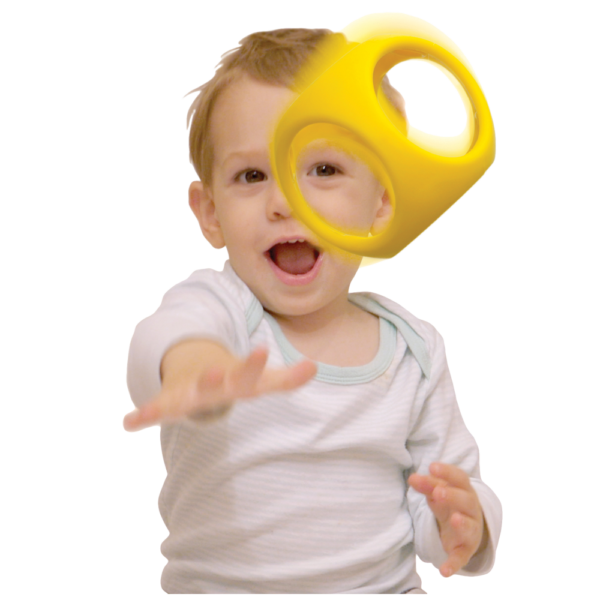 It grows with children—it’s an elegant grasping and teething toy for babies, a fun bouncing and rolling toy for toddlers, and fun stacking and throwing toy for children! Oibo collapses if you accidentally step on it, and pops right back into shape! 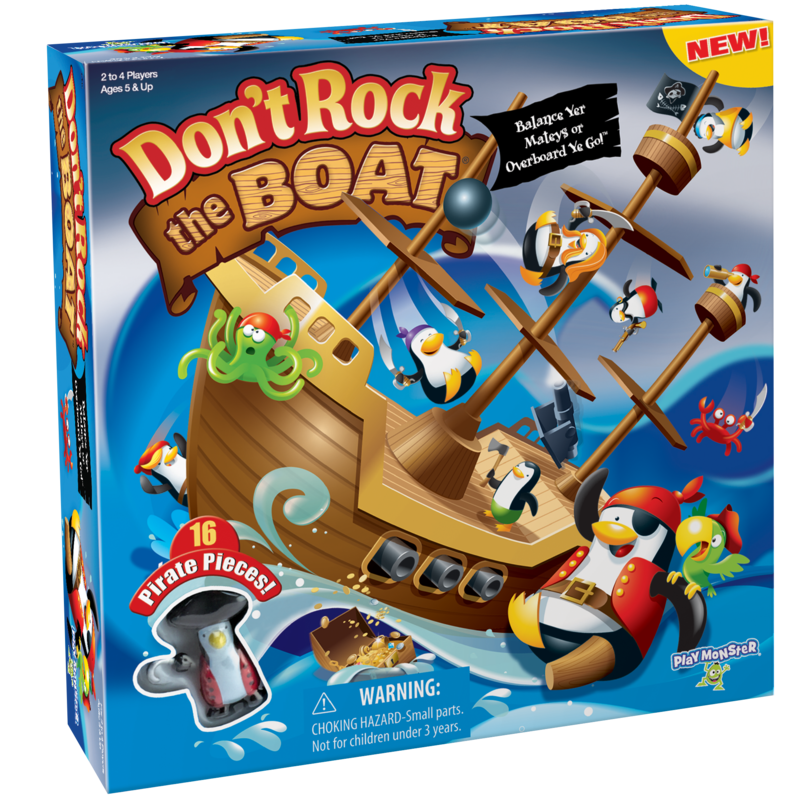 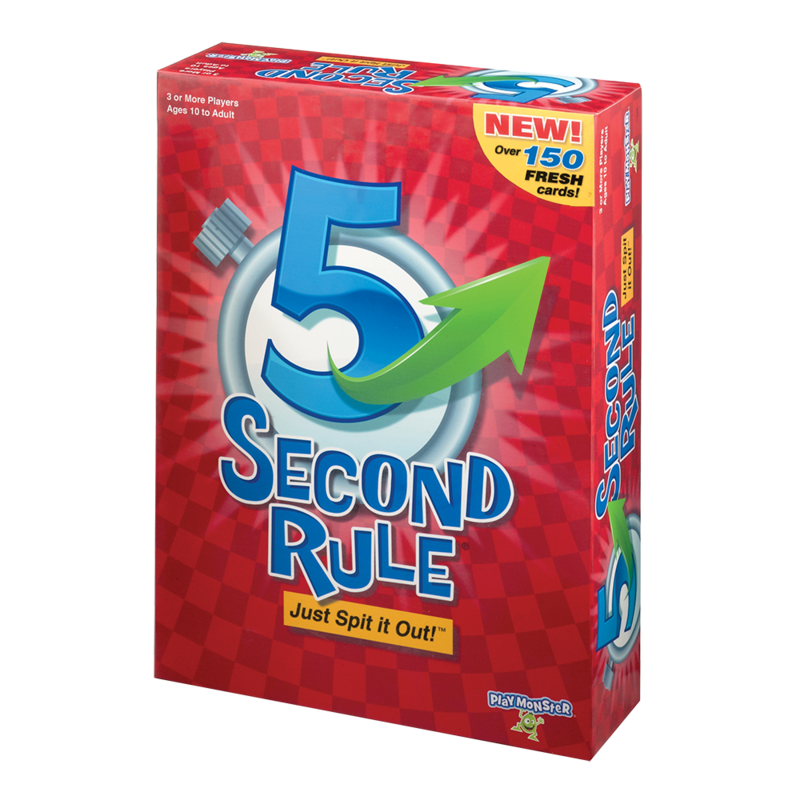 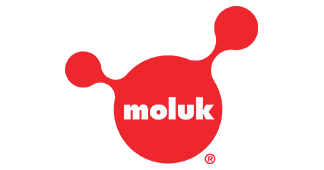 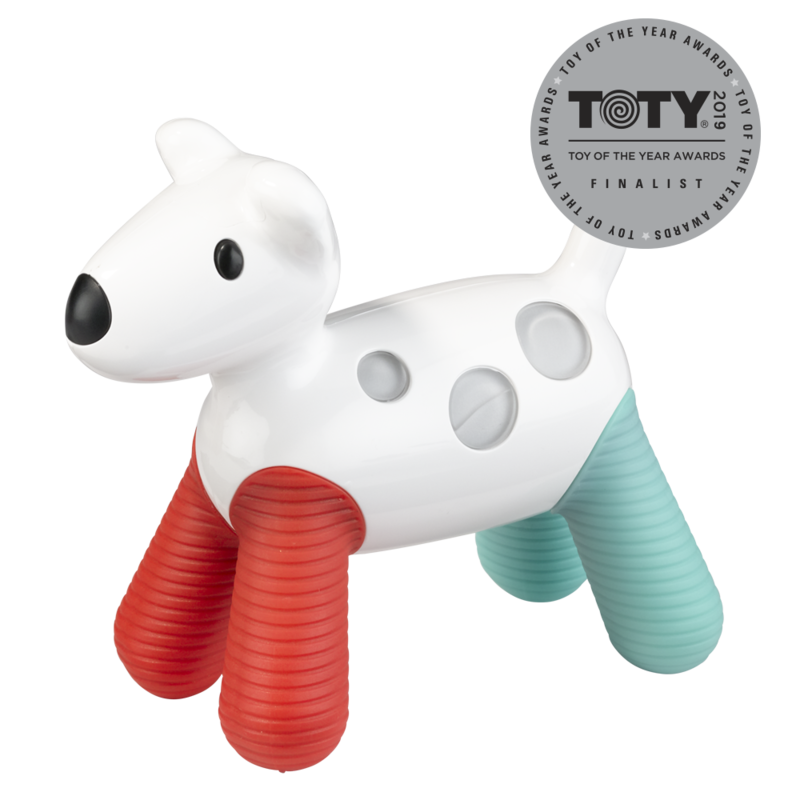 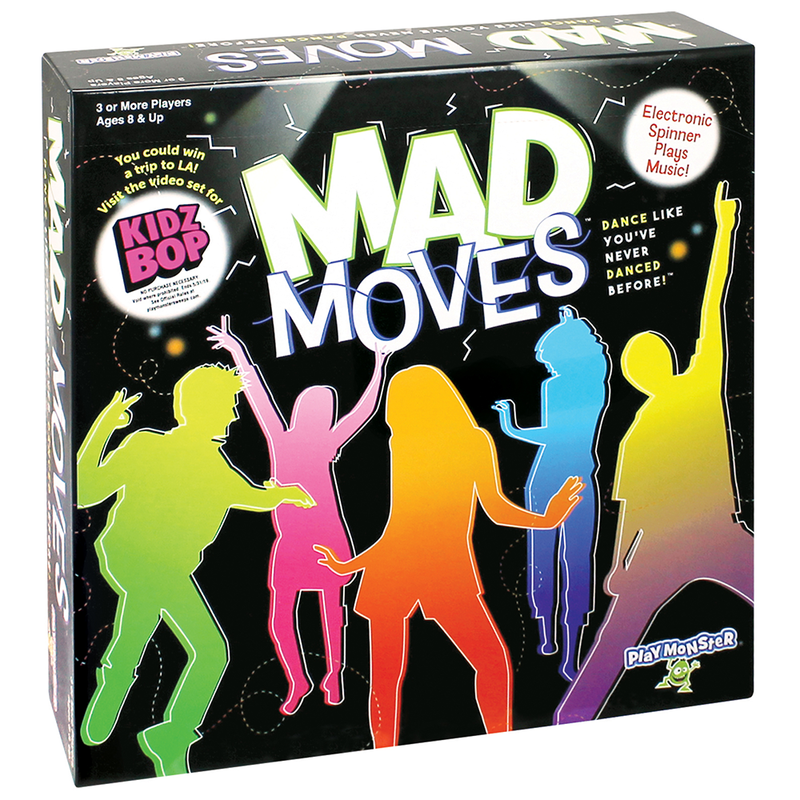 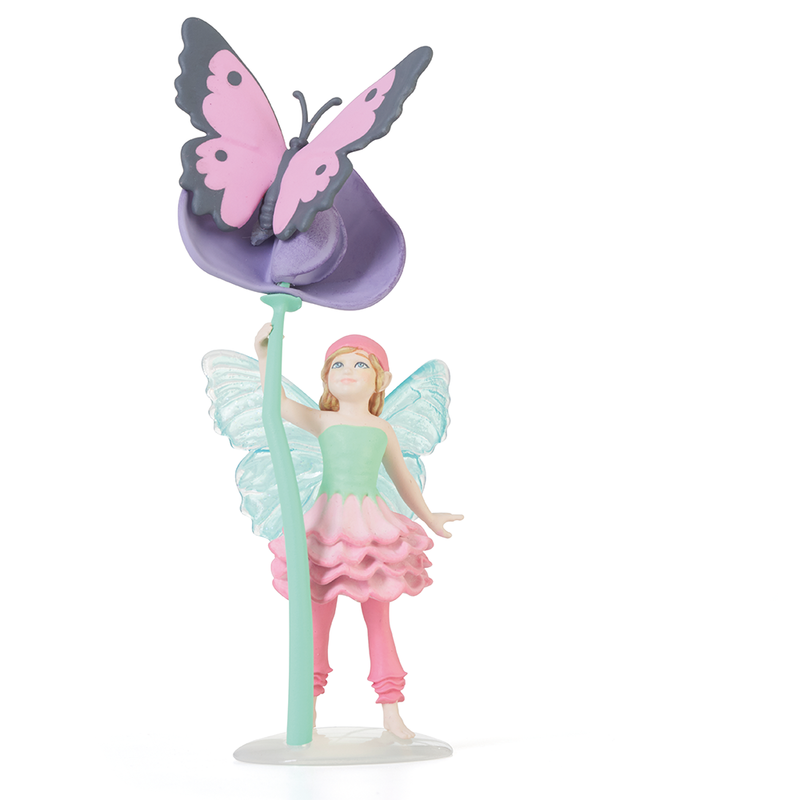 Made of food-grade silicone rubber; dishwasher-safe.